LED destination signs make public transport convenient for both – the passengers as well as the transportation agencies. These LED destination boards for buses help improve the operational efficiency and help transport transit companies to provide customers with better services. All the information that a passenger would require while traveling is readily available. Transit signs play a crucial role in ensuring smooth day to day operations and meet the unique needs of transport vehicles from all regions. They enable centralized control of the information that is displayed, the announcements and the schedules. LED signs also ensure that passengers get adequate information about the next stop and the route. The main advantage of these types of signage is the ability to view them in broad daylight due to their brightness control features. They have a wide viewing angle too that provides excellent readability from anywhere. They are built to be rigid enough for the transport industry and have excellent shock and vibration absorbing capacities. Various agencies have adopted LED signs, and many have experienced the benefits too. LED stop signs are a reliable, efficient and smart solution for small as well as large fleet buses. 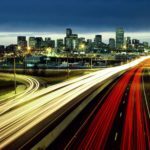 Public transportation agencies – whether rural or urban get the same level of functionality to improve the operational performance of their systems. They can seamlessly transport people from one place to another without a lot of manual assistance. The destination signs display all the relevant information that a traveler would require to know such as the next stop, the route, the bus number, etc. Transign's LED destination boards are not restricted to the heavy-duty vehicles and buses transporting a large number of passengers in the metropolitan areas but are easily made available and affordable for small and medium duty vehicles in the non-urban areas too. Sophisticated features such as vehicle tracking, automated message progression, and voice announcements are now made accessible to all. Transign makes it possible for small and medium duty vehicles to include the latest technology transit signs at highly affordable costs. You can install the signs with a variety of messages and program the control unit at a fraction of the cost. More and more rural transportation transit agencies are hence considering installation of these signs and provide their customers with the same convenience that a metropolitan city transport would provide. With time, as the transport transit agency grows, these signs have just the right scalability features to modify and include the new routes, constantly changing fleet structures and lots more. They are perfect for rapidly growing businesses. 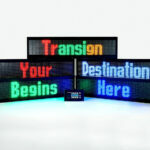 Transign is an industry leader in providing advanced technology signage products that are used by many agencies all over North America and greatly helps in modernizing the way people travel and access information while they reach their destinations conveniently and without too many hassles. 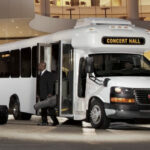 It also helps transit industries provide their passengers with the best in class services. LED destination signs make public transport convenient for both – the passengers as well as the transportation agencies. These LED destination boards for buses help improve the operational efficiency and help transport transit companies to provide customers with better services.